Are UHNW individuals Global Citizens? For UHNW individuals seeking citizenship or visa status in a foreign country, buying a home is often the best route. Global citizenship was originally relative to personal wealth. “Global citizenship” is becoming an increasingly popular tool for the world’s ultra wealthy. There are many different reasons why a UHNW individual might seek a second citizenship including, but not limited to: greater stability and security, tax efficiency, ease of travel, higher standard of living, increased options for children’s education, and investment opportunities that may not otherwise be available. Location still remains an important factor for UHNW individuals, but on a country level rather than a street level. For many ultra wealthy people purchasing homes abroad, the passport is becoming as important as the neighborhood, according to Wealth-X and Sotheby’s UNHW Luxury Real Estate Report: Homes As Opportunity Gateways. For UHNW individuals seeking citizenship or visa status in a foreign country, buying a home is often the best route. 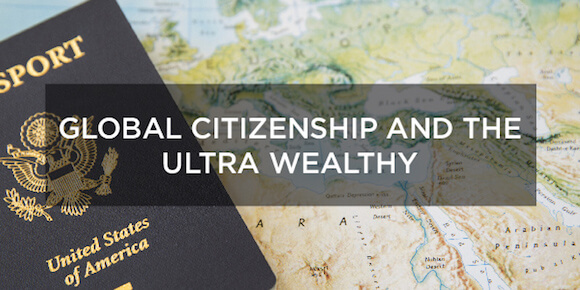 An increasing number of nations offer citizenship by investment programs, by which individuals can gain residency to a country following a significant investment. The centerpiece of many of these programs is property investment. Financial requirements range widely – from a US$200,000 minimum real estate investment in Dominica to a US$700,000 minimum real estate investment in Spain and Cyprus. In return, investors gain residency or citizenship status after a multi-year waiting period. 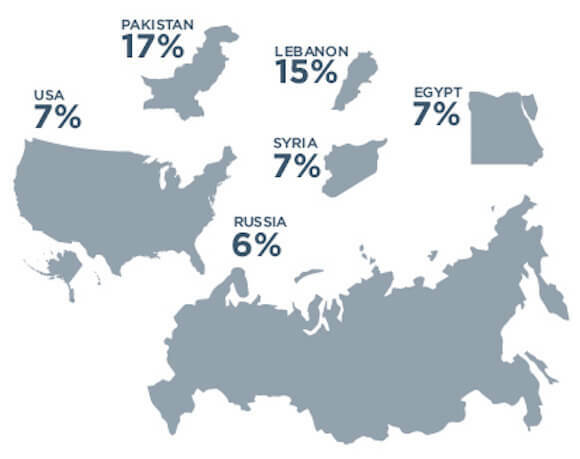 Slightly less than 60% of all UHNW second citizenship applicants come from countries in the Middle East. One possible explanation for this is that the Middle East has a high proportion of its UHNW wealth belonging to billionaires (40%), more than any other region in the world. Billionaires are five times more likely to apply for a second citizenship, as they have more to gain from obtaining one and the costs of obtaining it are also lower, as a proportion of their wealth. As Middle Eastern wealth is skewed towards the top tiers and the attractiveness of a second citizenship increases with wealth, it would help explain why the region is over represented. When examining this situation on a country level, it becomes clear that the UHNW individuals wishing to move or change their citizenship most commonly come from those countries that do not have high stability of asset security. Lebanon, Syria and Egypt,for example, have all experienced unrest in the last few years so it is logical for those who have the means to wish to move somewhere with greater stability. The United States has by far the largest UHNW population, so the share of American UHNW individuals wishing to move abroad is still small. For example, UHNW individuals from Syria are 300 times more likely to apply for a second citizenship than those from the US. The global taxation system can make it very expensive for UHNW individuals to maintain their US citizenship, especially if they are living in a lower taxed jurisdiction such as Switzerland, Dubai or Singapore. The annual savings in capital gains tax alone for an average UHNW individual could reach almost US$1 million (assuming an average UHNW individual receives 5% of his/her net worth in income a year, and 90% of this is subject to a capital gains tax rate of 15%). Russia is also an interesting country to find near the top of this list. Much like the Middle East, billionaires in Russia have a disproportionate share of the country’s UHNW wealth, controlling 55% of the total. There are high profile examples of billionaires moving abroad, with London as a preferred destination. 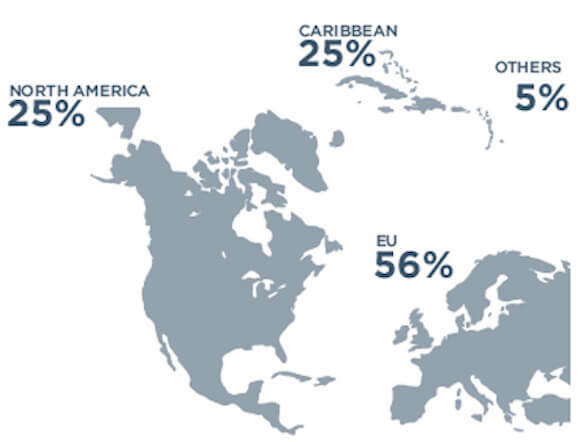 As of 2015, over 20 nations offered citizenship by investment programs and as the graphic below shows, most nations offering citizenship by investment programs are located in Europe and the Caribbean. In addition, a number of nations offer programs where residency or citizenship can be gained via investment in local business interests. Especially in nations where these programs are paired with attractive tax regimes, buying a home can be part of an attractive wealth preservation plan. This article does not reflect the ideals or views of Globcal International, the information here is provided as necessary encyclopedic material about factual accounting that brings empowers individual knowledge and insight for our membership and audience.